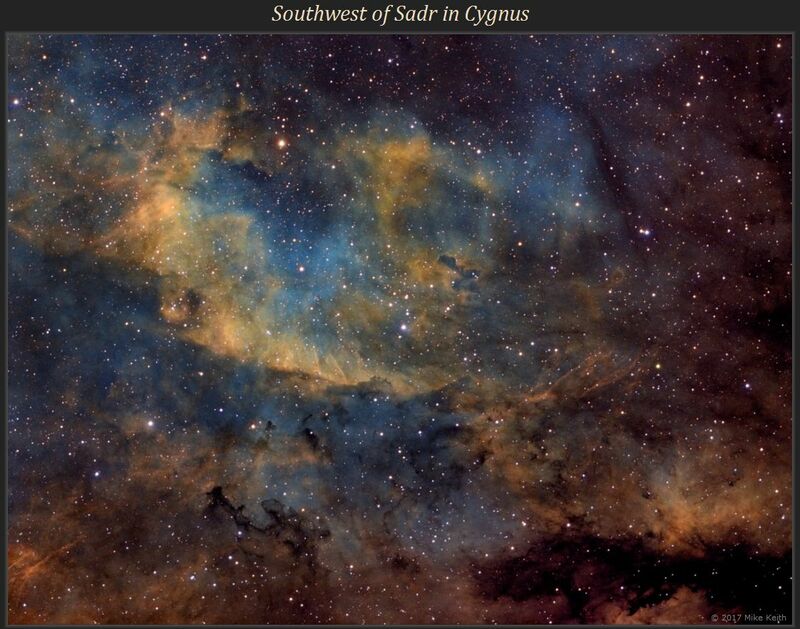 This image lies about a degree southwest of the star Sadr, the middle star in the cross of Cygnus and is is oriented here with North at the bottom. The large yellow nebula that dominates the image does not appear to have a single catalogue name but rather is a collection of several objects from the DWB catalogue (specifically, numbers 30, 34, 36, 27, 38, and 40). 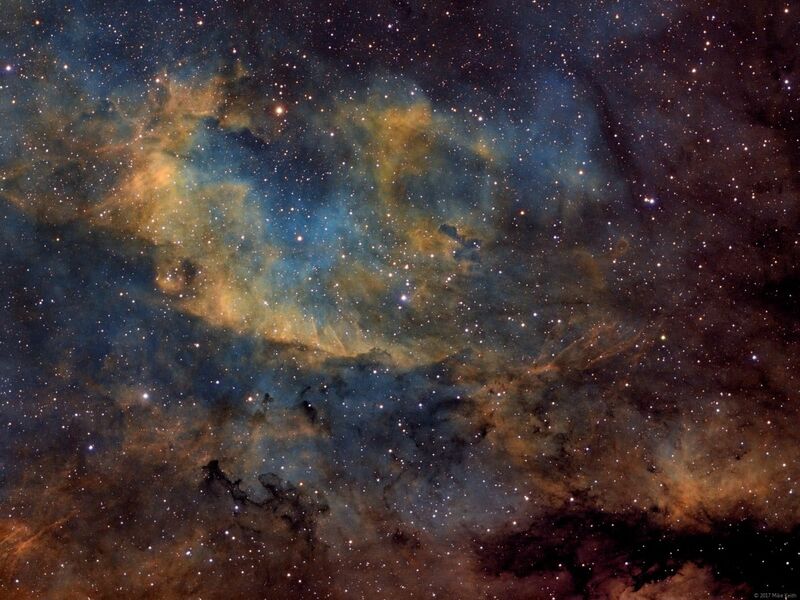 The bright orange patch at the bottom right is DWB 57, and the dark rift running under it consists of three entries in the Dobashi catalogue of dark clouds (from left to right, numbers 2369, 2375, and 2387). The loose, fairly sparse, open cluster near the middle of the image is Dolidze 5. This is a 3.5-hour narrowband image with 90:60:60 minutes of H:O:S.